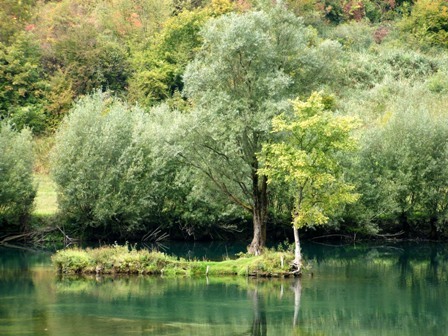 SARAJEVO – A regional meeting on NATURA 2000 (protection of sites for endangered habitats and species) will be held in Sarajevo tomorrow. The event is organized by the Regional Environmental Center for Central and Eastern Europe (REC), under the EU-funded Regional Environmental Reconstruction Programme for South Eastern Europe (REReP), in cooperation with the Regional Cooperation Council (RCC). The objective of the meeting is to provide information on EU biodiversity and NATURA 2000; learn from experiences on setting and management of NATURA 2000 and other ecological networks; discuss progress made in the region, and the ways for streamlining cooperation and coordination, particularly in cross-border context for different authorities and stakeholders in the candidate and potential candidate countries in South East Europe (SEE) on issues related to nature conservation and NATURA 2000, as well as a possible establishment of NATURA 2000 and its complementary EMERALD network in SEE. The NATURA 2000 event will be opened by Assistant Minister of Foreign Trade and Economic Relations of Bosnia and Herzegovina, Reuf Hadzibegic; RCC Senior Expert on Infrastructure and Energy, Miroslav Kukobat; and Deputy REC Executive Director, Radoje Lausevic. The participants will include experts from relevant environment ministries in SEE, nature protection institutions in the region, donor community, international financial institutions, and non-governmental organizations active in related cross-border activities. In 1992, EU governments adopted legislation to protect the most seriously threatened habitats and species across Europe. This legislation is called the Habitats Directive and complements the Birds Directive adopted in 1979. At the heart of both these Directives is the creation of a network of sites called NATURA 2000. The EMERALD network represents de facto extension of NATURA 2000 to non-EU countries. Journalists are invited to attend the opening of the meeting on Friday, 29 May 2009, at 9.00 hours, at the Hotel Bosna, Kulovica 9, 71000 Sarajevo, Bosnia and Herzegovina. The working language of the event will be English. Interpretation will be provided for additional statements, upon request.